We are able to replace both Flat bed slats (Pine and Beech) and Beech sprung bed slats. Beech sprung bed slats are most commonly used in Europe and are increasingly being used in the UK. We stock replacement Beech Sprung bed slats in 25mm, 38mm, 53mm, 63mm & 70mm widths as standard. We are also able to taper the ends of your these slats to meet non-standard widths i.e. 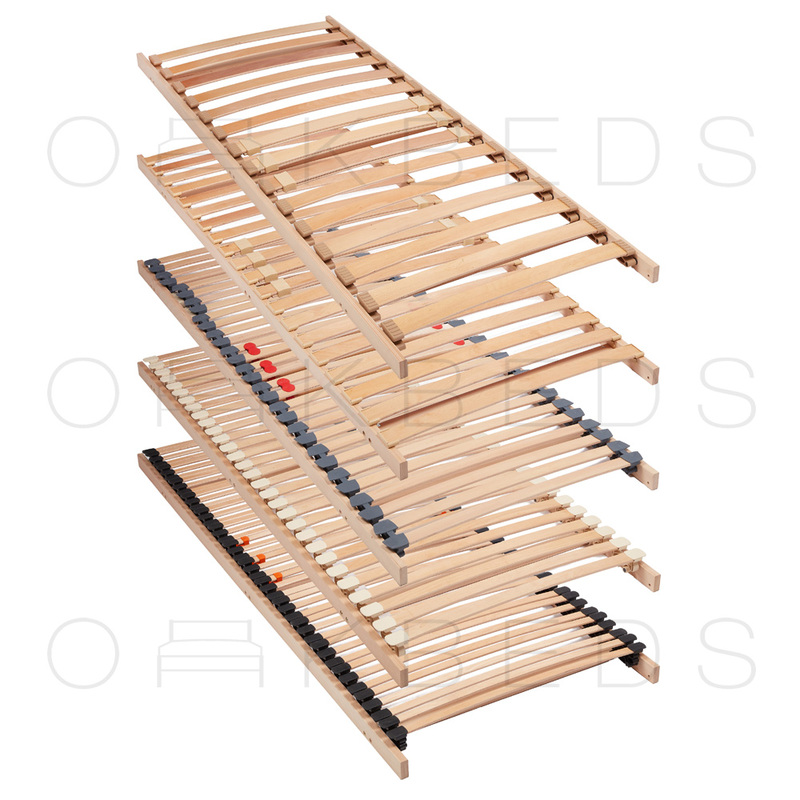 63mm slats can be tapered to 58mm to fit in your existing bed slat holder. We are also able to produce all the above width replacement beech sprung slats in ANY length you desire. We manufacture our Flat bed slats in Standard Pine and Premium Beech. These are sold individually or in Sets. 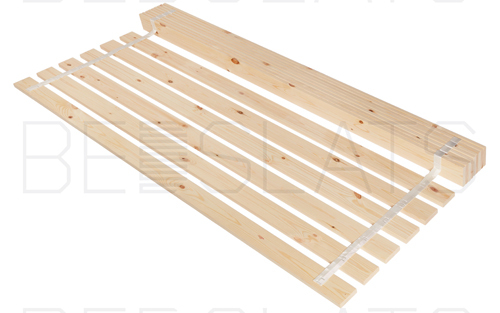 The replacement flat sets are available in various slat packs varying from 11 slats to 18 slats. The more slats you have the less space you will have in-between the slats; meaning the more support your mattress has. Both our pine and beech replacement flat slats are available in standard sizes. However we are able to customise the Length and Width of you set to your exact requirements. Simply select the larger size and opt in for the cutting and re-webbing service, to ensure a perfect fit. We recommend both Pine and Beech Flat bed Slats over 1000mm should be used with a bed support centre rail.